Also known as the yellow fan, this fungus is a member of the club fungi and found in mixed conifer forests in mosses and decaying leaf or needle humus. This one was found at Glen Gore, just south of Edinburgh. Although not classified as a vulnerable species, the British Mycological Society believes it to be near threatened so every care should be taken to preserve its habitat. 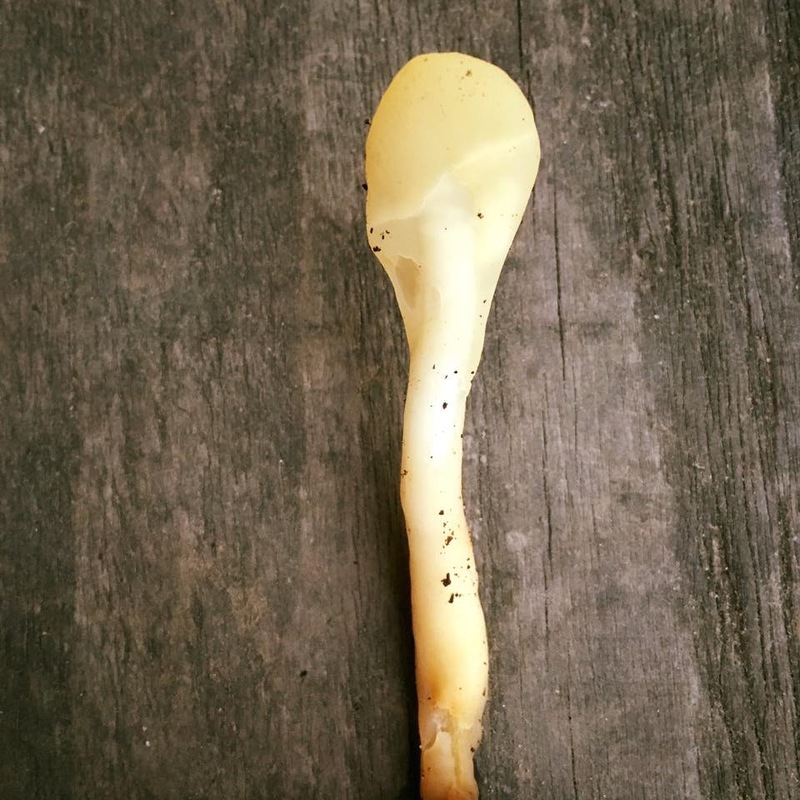 The small, fan- or spoon-shaped fruit body has a flat, wavy or lobed cream to yellow colored “head” raised on a white to cream stalk. The height is usually around 2–5 cm (0.8–2.0 in), and up to 8 cm (3.1 in).